What The Heck Is A Gut Microbiome? And Why Does It Matter To Me? Your gut microbiome is made up of an intricate balance of many types of bacteria in your intestinal tract. You are born with your microbiome already forming. Studies show that your parents, the birth environment, and breast feeding or bottle feeding all effect your gut bacteria. Humans have roughly 300-1000 different species of bacteria in our intestines. 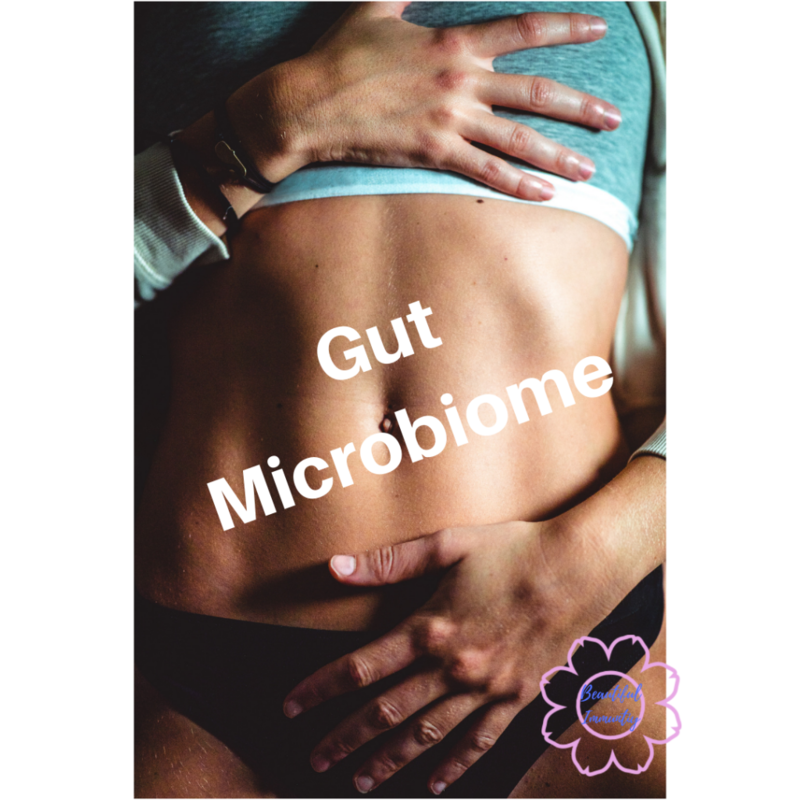 The foods you eat, the medications you take and your lifestyle all have an influence on the species of bacteria that are allowed to thrive in your gut. Sometimes, bacteria that are less helpful to our bodies, overpopulate and outnumber the beneficial bacteria when our bodies are out of balance. This can cause illness because the beneficial bacteria help us break down food and absorb nutrients. Are My Gut Bacteria Out Of Balance? Chances are, if you experience any of the above symptoms, you may have an imbalance in your gut bacteria. What Can You Do To Restore Your Gut Microbiome To A Healthy Balance? Remove processed foods from your diet. It can take 2-12 weeks to heal your gut, unless you have been diagnosed with a disease and then you can expect it to take up to 2 years. It can take 6 months just for the inflammation to subside. I think of it as a lifestyle change, because if you go back to your old ways, your gut bacteria will just get out of balance again. If all of these steps seem overwhelming and just make you feel tired, check out my new program, Immunity Reboot. We go through these steps over a 10 week period and I hold your hand and guide you the whole way. Not sure if my program is right for you? I would love to chat with you and discuss your personal health to see if this program is a fit. Go here to schedule a complimentary 30 minute call. Be sure to join me on Facebook and Instagram to join in on the discussion. ← Starting An Exercise Routine Is So Hard! 7 Ways To Make It Easier.